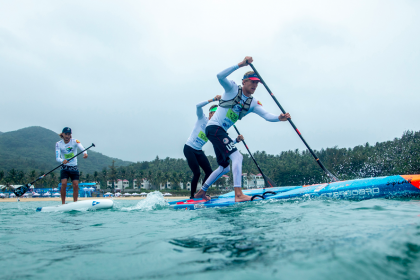 Team Brazil’s Arthur Santacreu and South Africa’s Tarryn King respectively charged to victory earning the Men’s and Women’s SUP Sprint Gold Medals at the ISA World SUP and Paddleboard Championship in Wanning, China. 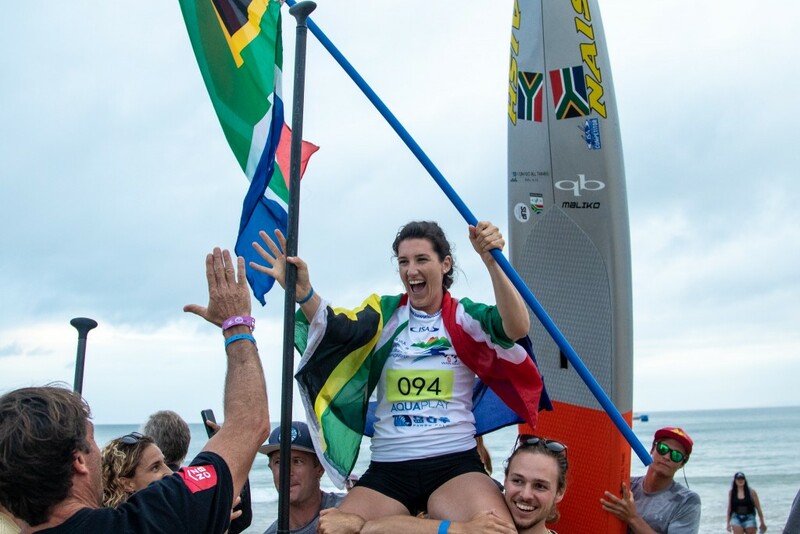 King’s performance is the first-ever SUP Gold Medal for South Africa and comes just over a year after giving birth and returning to elite level for SUP Surfing and Racing. King’s husband Thomas celebrated on the beach with their 1-year son. With two Bronze Medals for USA and only one Copper Medal for Australia in the Sprint Races, USA built upon their lead with five medals remaining to be awarded. 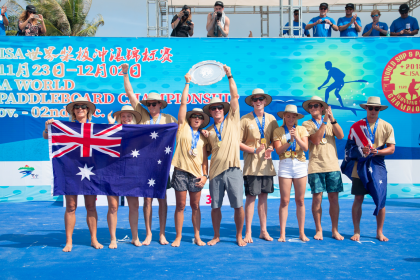 Team New Zealand jumped up into the third position with Trevor Tunnington’s Silver Medal, closley trailed by Team France and Spain. 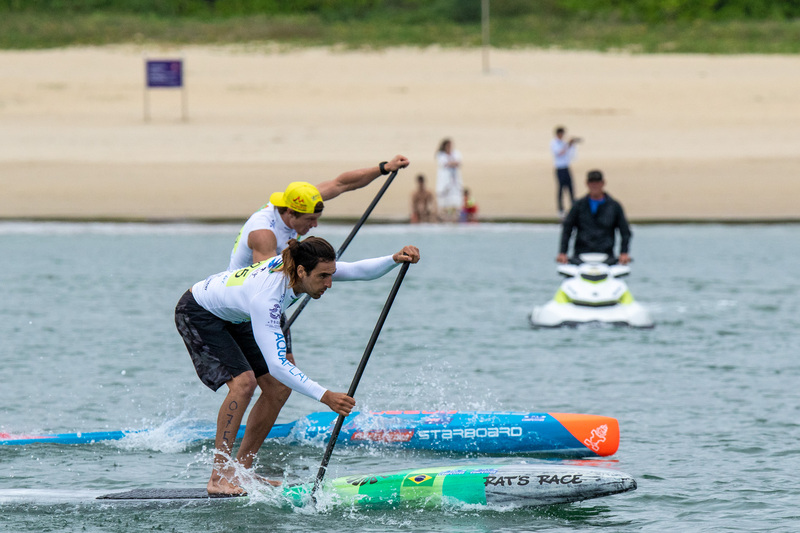 After a morning of Quarterfinals and Semifinals at Shenzhou Peninsula, the Men’s SUP Sprint Final featured Arthur Santacreu (BRA), Connor Baxter (USA), Kenny Kaneko (JPN), Trevor Tunnington (NZL), Noic Gariou (FRA), and Claudio Nika (ITA). 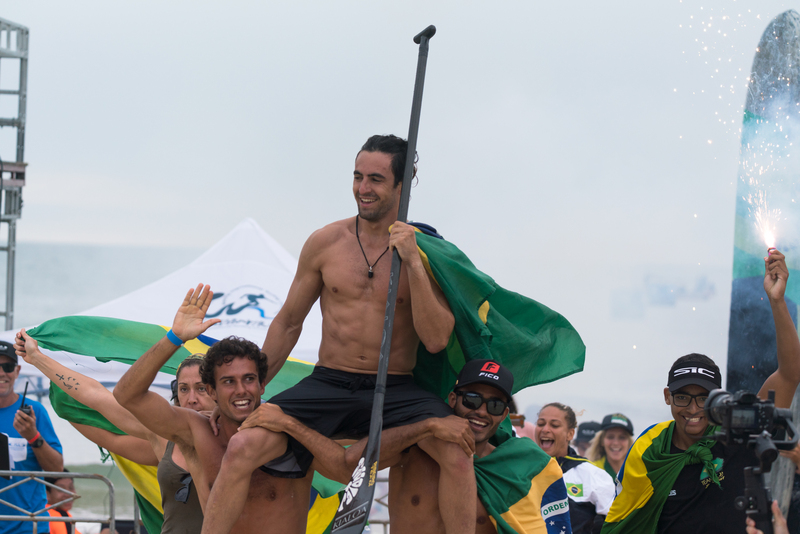 Brazil’s Santacreu, who earned the SUP Sprint Bronze in 2017, continued his string of first place finishes through the qualifying heats and didn’t let up in the Final to earn the Gold. “I am so grateful,” said Santacreu. “All my training worked really well. 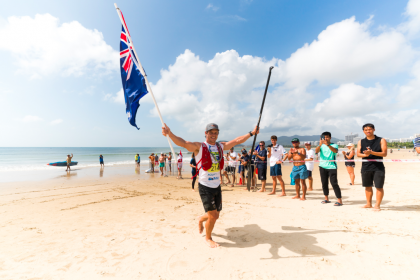 New Zealand’s Trevor Tunnington followed with the Silver, USA’s Connor Baxter with the Bronze, and France’s 16-year-old Noic Gariou with the Copper. Notably missing from the Final was Denmark’s 2017 Men’s Gold Medalist, Casper Steinfath, who just missed out qualifying for the Final by three tenths of a second in the Semifinals. The Women’s SUP Sprint Final finished off the day of action, with France’s 2017 Silver Medalist Amandine Chazot matching up against Italy’s Caterina Stenta, USA’s Jade Howson, South Africa’s King, Australia’s Terrene Black, and Japan’s Yuka Sato. 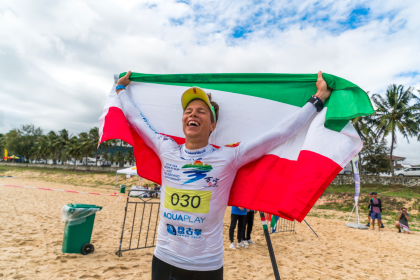 King built a decisive lead and crossed the finish line in first place to the cheers of her team on the beach. “I’ve put in a lot of time and a lot of training,” said King. “I am so stoked. “To win Gold in the Sprints is a dream come true. Silver, Bronze and Copper positions were too close to call with the naked eye, but upon further review Italy’s Stenta prevailed with the Silver, USA’s Howson with the Bronze, and Australia’s Black with Copper. 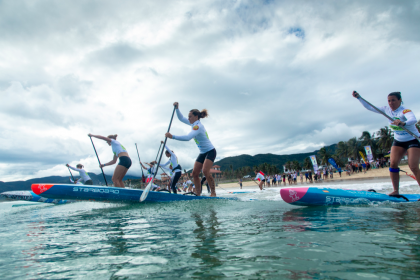 With two days remaining in the event, the SUP and Paddleboard Distance Races and Team Relay will round out the event, determining the 2018 Team World Champion. “The SUP Sprints have been an exciting addition to the event since 2016, adding a new element of power and explosiveness. 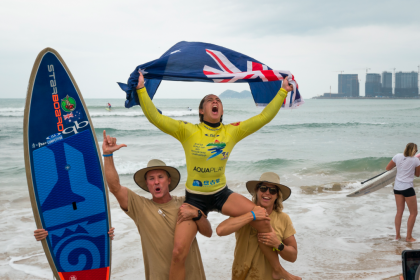 “We are proud to continue crowning the best SUP and Paddleboard athletes World Champions, and today was no exception.